motivated, driven, independent women to partner with in creating their health & fitness business! 7 years ago I started my business after going through my own personal health and fitness transformation. After having 2 babies, I struggled to lose the 30 pounds gained with my pregnancies. 6 months post partum I was still wearing maternity clothes, I lacked energy, I struggled with confidence and I was home by myself all day long. I made a post on Facebook about eating celery and trying to lose weight and my coach reached out to me. My life completely changed from that moment. Not only did I transform my health & fitness but I used my journey as a tool to inspire others to take control of their lives. I used my social media platforms to teach, inspire, motivate and encourage others to do the same. My experience and my story have helped thousands of people take control of their lives and I want to help you do the same!! Now I teach and mentor others to build thriving health and fitness businesses. 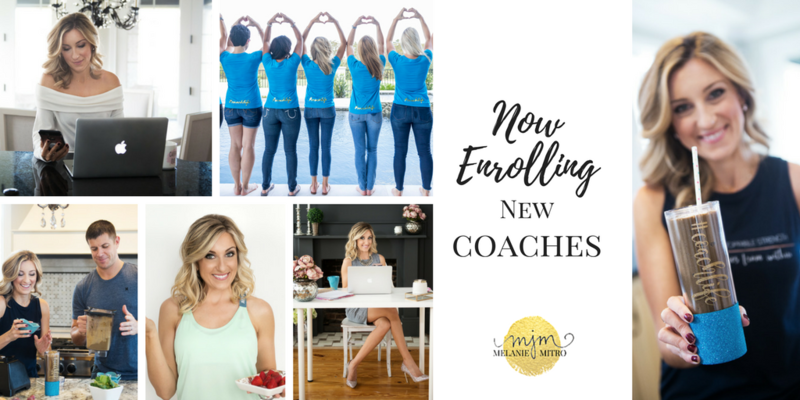 I run a virtual training academy and mentor aspiring Influencers on how to launch their businesses, grow their social media, run accountability groups, and support their clients and team. You do not have to build your business alone. You have a team of successful leaders including myself to guide and mentor you through every step of building your own business that can literally set you free! Do you love health & fitness and want to make an income from it? My name is Melanie Mitro and I am a mom of 2 boys and I have been married to my husband Matt for 11 years. We live in Western Pennsylvania. I began my coaching business 7 years ago after my kids were born. I left my full time career as the Director of Early Intervention to be a stay at home mom. During that first 6 months off work I found that I had a passion for inspiring others to reach their fullest potential. I started sharing my journey on social media, I created a blog, I started running online accountability groups and began to link arms with other go getters that wanted to create an income doing the same thing. I built my business in the cracks of being a mom and slowly transitioned into the role of #1 Coach in the Company. I have been able to create a systematic training to help my team launch their businesses, I have created a team of incredible women who are humble, kind, hard working and authentic. We might come from all over the world but we meet virtually each and every day to share business strategies, best practices and support and encourage one another in building our own organizations. This business has become my full time career, allowed my husband to leave his job, given us financial flexibility and freedom and so many incredible experiences. I want to be able to share that with others as well! I never knew that you could build an online business and be successful at it! As a woman with a Master's Degree I used to feel guilty for not using my education! But in reality, it's not about the Degree on the certificate. At the end of the day it is living a life that you feel makes an impact. I can confidently say that I get to make an impact each and every day and as a result of my IMPACT I can create a SIGNIFICANT income for my family. I'm looking for women who are confident and ready to take that next step to building a business too! Are you currently a coach? Fill out the form below for more information on this opportunity.